It was an honour for the Regional Hospital of Sion to welcome the participants to Valais for the 2001 Annual Meeting of the Swiss Society of Radiobiology and Medical Physics. The main topics this year dealt with subjects of interest to clinical physicists in diagnostic radiology and radiation oncology. One whole day was dedicated to brachytherapy. Specific activities of current interest, such as intra-coronary and prostate irradiation, were discussed. Three distinguished speakers, a cardiologist, a radiation therapist, and a clinical physicist had been invited. Together they presented a comprehensive overview of intra-coronary brachytherapy as it is practised in the clinic today. Furthermore, two proffered papers presented the Swiss clinical experiences with prostate implants. After a very interesting and scientifically rewarding day some entertainment was of vital importance! The participants were driven to the old town by a free air road train, and visited the church of Valère at sunset. 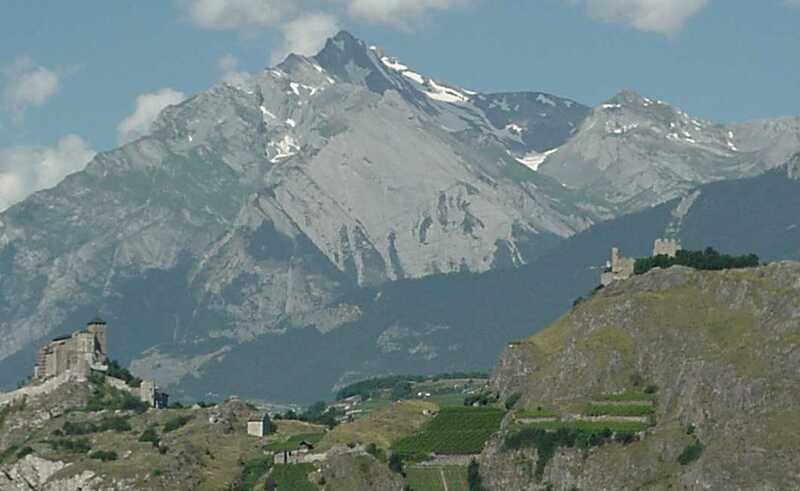 Following this, the participants went to the Relais du Valais in Vétroz. In an original setting, they had a wine tasting of the region in the cellar followed by a traditional “raclette”. Everyone could enjoy the performance of Nigel Crompton, presenting Pascal Schweizer as the new honoray member of SSRMP. The participants were back next morning to carry on with the scientific sessions. Three-dimensional conformal techniques in external beam radiation therapy are continuously being developed. Recent advances in IMRT, both in the 'step and shoot' and the 'dynamic' techniques, open new capabilities for increased effectiveness of treatments. The first clinical experiences were presented to the audience. As organizers of the 2001 SSRMP meeting we would like to thank all participants and speakers for contributing to this meeting. Finally, we would like to especially thank our industrial partners for their financial support, either by directly sponsoring the meeting, or by contributing to the industrial exhibition. Top of the page This page is maintained by Frederic Corminboeuf. / Last updated 26 May 2009 (wws).